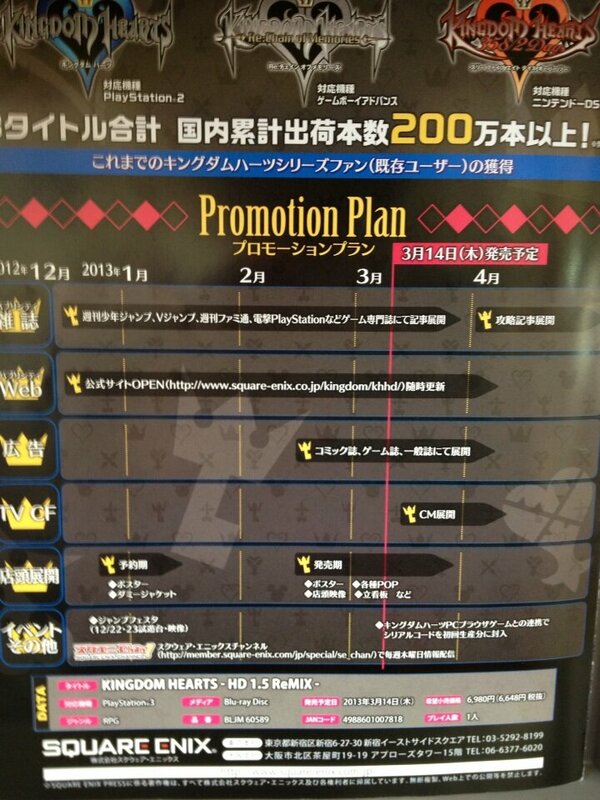 Square Enix have revealed their promotional plans for Kingdom Hearts HD 1.5 Remix in Japan. 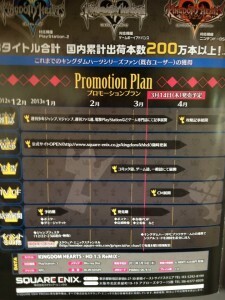 The road map shows off different things they’ll do such as airing commercials for the game after it’s release doing all the way into April, including the special commercial contest that went from February 20-24. The official website will be continued to be updated from March to April and magazine publications will release strategy guides after the games release.